This Drama is a 2012 South Korean TV drama series that centers on the lives of the six best friends in Busan city. 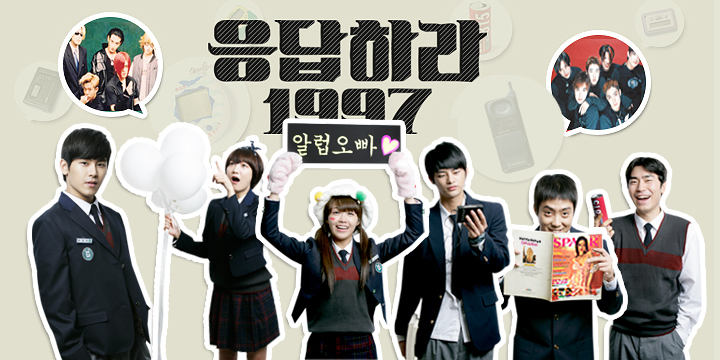 This is the Romance, Comedy Teen drama series starring Jun Eun-Ji , Seo In-Guk, Eun Ji-Won, Shin So-Yul, Hoya, Lee Si-Eon. The story mainly evolved to the childhood best friends Shi-Won and Yoon Yoon-Jae in their quirky friendship progressing to a secret Love and turning to a First love that ripened at the right time. This drama recorded the highest ratings at the time for a Korean cable Drama, and the series has generated praise from critics and audiences for being refreshing, genuine, and full of humor and heart. This drama is Nothing magical, mythical and supernatural, just a pure trip down to the moments’ everyone watching can totally relate. The series released from 24th of July to 18th of September 2012 on the Distributor tvN network. This is the Romance, Comedy Teen drama series that centers on the lives of the six best friends in Busan city. The story mainly evolved to the childhood best friends Shi-Won and Yoon Yoon-Jae in their quirky friendship progressing to a secret Love and turning to a First love that ripened at the right time. The series packed full of memorable characters with fantastic chemistry between them. This drama is not just about romance but it also has a mixture of different component a small drama series with a lot of Loving Hearts. The story of this drama revolves around the Shi-Won’s life and her best friends who are a school going girl. Shi-Won idolizes boyband H.O.T and as a teen, she was obsessed with Boy Band. Currently, she is 33 years old, Shi-Won and her beloved friends revived their memories as their school reunion nears. Spicing the flashbacks elements, the drama will be switching from present to the later part of the ‘90’s showcasing the trademark of that generation. The story mainly evolved to the childhood best friends Shi-Won and Yoon Yoon-Jae in their quirky friendship progressing to a secret Love and turning to a First love that ripened at the right time. The relationship between them (Yoon Jae and Shi-Won) was a completely believable one from the very start. Shi-Won and Yoon Yoon-Jae as childhood friends who had grown up seeing the best and worst of each other. They were comfortable and with special gestures of aggravated attachment towards each other. As the main cast of this drama Shi-Won gets ready for her high school reunion, she can hardly believe it has been fifteen years to meet all of her loveable school friends. We can see in flashback Shi-Won disappoints her father with a terrible report card where she was at the bottom of her class. She got 48th place where there are only 48 students in her class. Her father tears up all H.O.T posters from her wall and threatens to adopt her friend, Yoon Yoon-Jae. Shi-Won boldly goes to Seoul with other H.O.T fans when she was living so far from the Seoul at Busan. Shi-Won meets her H.O.T idol, TONY. When she gets home after meeting him, the punishment for her folly is a so short, ragged haircut. Her father got very angry and cuts her hairs with scissors. At the beginning of this episode, we can see that everyone has gathered in front of the Television for the KOREA-JAPAN Baseball World Cup qualifying game. Since her father was a player from the National Baseball team they all were so happy to enjoying Match together. When Shi-Won and her parents have a fender-bender. Shi-Won’s parent’s fake injuries and are sent to the hospital were Shi-Won’s Father receives a startling Diagnosis. Doctors found out that Shi-Won’s father is suffering from the stomach cancer. After surgery, Shi-Won’s father complains about his Ajumma-Packed Hospital Room and waits anxiously for the results. Shi-Won gets into a Fangirl fight over the use of a classroom VCR. Shi-Won’s grades may keep her out of college. To deals with this, she creates FanFics and has several avoid online followers. She gets caught by the teacher while passing her FanFics to her friend in the class. The teacher sent her to her class teacher to explain herself. Her class teacher who was also Yoon Yoon-Jae’s older brother helped her to participate in a contest where she can explore her writing skills. Yoon Yoon-Jae plans to pledge his love and give a puppy who looks like him to his Childhood best friend Shi-Won on his D-DAY. When he found out that his older brother Tae-Woong also wants to propose Shi-Won on that day he got hurt and decides to not to tell her that she is his first and last love. Yoon Yoon-Jae ends up giving that puppy to a delegated Joon-Hee. Tae-Woong who is Yoon Yoon-Jae’s Older brother and also was Teacher in his School resigned from teaching, has no idea what to do with all his free life after that. In this episode, we can see the group of friends go to the NightClub where Joon-Hae performs a dance routine on stage. Shi-Won and Yoo-Jung squeal at their Fangirl-Best. But Joon-Hae was more interested in impressing Yoon-Jae with his dancing skills. When Shi-Won’s parents were on a trip they recommend Yoon Yoon-Jae to stay over. Shi-Won rejects the idea but when at the night a stranger follows her home from work Yoon Yoon-Jae saved her and dropped her at home. Shi-Won packs her things and H.O.T’s posters for college in Seoul. Her Gang of all friends celebrate her birthday in Karaoke center and congratulate her for getting enter in college in Seoul. Yoon Yoon-Jae gave her ring as birthday present what she wanted on her birthday from him. He said that she is so cruel for asking a ring from him when she is already dating with his older brother. When she asked why she should not ask for a ring from him he suddenly confessed his love for her. He wanted her to notice his love and get loved back from her but she didn’t notice anything. He told her that he wanted to confess his love but his older brother also loved her so much. There were two people he loves one who is his brother who gave up everything for him and another one is Shi-Won who is the love of his older brother. He gave her ring and told her that he doesn’t want to meet her again. Episode 13: Next Time ?…… No…Now!!! The year is 2005 and everyone appears to have become a successful person in their lives. Shi-Won and Yoon Yoon-Jae accidentally meet at one coffee shop in Seoul. They shared some memories. After some days the group of friends finally meet at Yoo-Jung’s father’s funeral. At reaching home Shi-Won asked Yoon Yoon-Jae does he still liked her ? that time he refused to answer her. Since she broke up with Tae-Woong a long time ago she found out that she liked Yoon Yoon-Jae and she confessed him. Sung-Jae gets a break from his demanding job when Hak-Chan and Yoo-Jung visit to take him hiking. Meanwhile Shi-Won deicides between Tae-Woong and Yoon Yoon-Jae. Hak-Chan introduced Yoo-Jung to his parents as his girlfriend. Shi-Won causes a brotherly quarrel between Yoon-Jae and Tae-Woong who both confess they love her. In March of 2013.Shi-Won’s parents nervously seat in the hall of a hospital, waiting of the news of the birth of their Grandchild. When the doctor come and told them that Shi-Won is asking for her Husband to stay by her side. However, have a question. Where and who is Shi-Won’s Husband? Tae-Woong or Yoon Yoon-Jae? The mystery gets solved at the end of this episode.